In 2004, 62 percent of Ohio voters approved a 55-word amendment to the Ohio Constitution. It clearly states that, in Ohio, only a marriage between one man and one woman is valid or recognized. The answer can be found in the supremacy clause, of the U.S. Constitution. On its face, the clause appears to say that the federal law trumps state law. However, what does the last part, “… laws of any state to the contrary notwithstanding” mean? In debates and in speeches given before formally adopting the U. S. Constitution, the Framers spoke openly regarding their intent to acknowledge and uphold the authority of state governments and to expressly limit the powers of the new federal government. It seems clear from these and many other quotes that outside of the enumerated powers listed in the U.S. Constitution, the powers reserved to states were never to be trumped by the federal government. The Framers strong speeches to uphold the power of state governments by limiting the power of the federal government use to serve the American people well. They created a unique system of government that is accessible and accountable to the people. And yet, over the years, aided by the Supreme Court, the federal government is becoming an empire on the Potomac, one ruled by overlords zealous of robbing citizens of their rights. While there is a hierarchy between state and federal, there is also a hierarchy between God and man. Subverting the law’s of nature is not wise. For me and my house, no government, local, state, or federal, has the right to overturn the laws of Nature and of Nature’s God. I look forward to hearing your thoughts. You can contact me by email at Rep85@OhioHouse.gov or by phone at 614.466.1507. 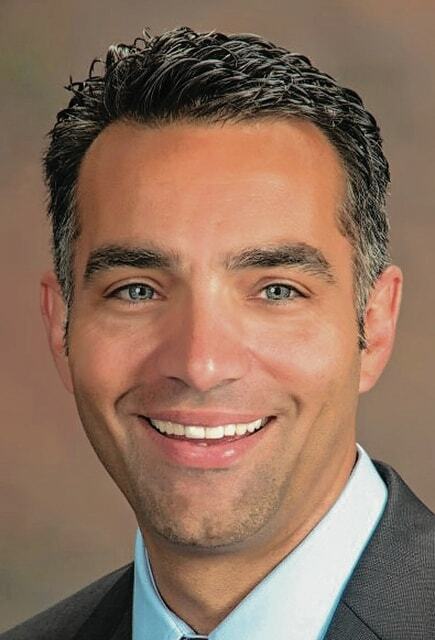 Nino Vitale (R-Urbana) represents Ohio’s 85th House District, which includes Champaign County.